Don Wilson, founder of high-speed trading firm DRW, said bitcoin derivatives trading in Asia hours is almost equal to the volume he’s seen in the U.S., something he says is an anomaly when compared to other financial instruments. 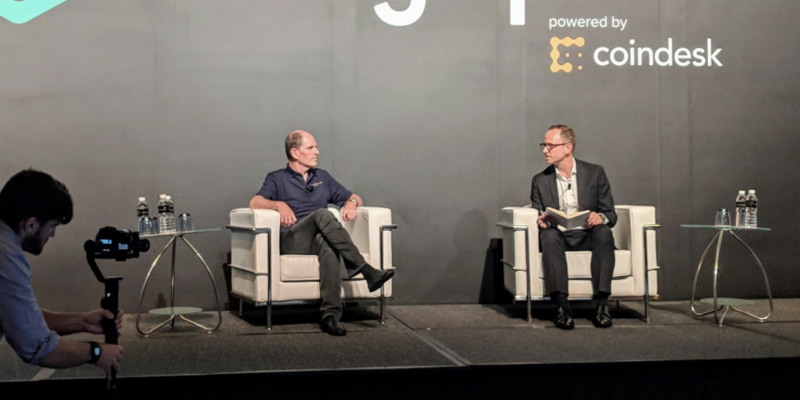 In a fireside chat at the CoinDesk Consensus Singapore 2018 conference with Quartz’s John Detrixhe, Wilson discussed his observations on cryptocurrency trading trends and his view on the future for the technology. Referencing bitcoin futures trading data on U.S. exchanges provided by CME and CBOE, Wilson went so far as to suggest there may be demand for similar trading tools in Asia. DRW, one of the earliest institutions that moved into cryptocurrency trading, launched Cumberland, a crypto over-the-counter trading desk in 2014, at a time when others such as Goldman Sachs and JP Morgan have yet to officially roll out similar services. Explaining the initial idea of DRW to start a crypto trading desk, Wilson said it is rooted in his belief that crypto’s decentralization feature. “There’s the argument about bitcoin as a store of value. But, more interesting to me, is the usefulness of bitcoin. The ability of transfer values without a trust in the system is hugely disruptive,” he said. Last year, the Wall Street Journal reported that Cumberland had traded more than $20 billion worth of bitcoin, ether and other crypto assets since 2016. Wilson added that custody solution could be one key obstacle at the moment to a wider institution adoption of crypto trading as he sees that as a crucial stepping stone. Elsewhere in the fireside chat, Wilson also commented on yesterday’s report by the New York Office of the Attorney General, one which saw the regulator releasing findings indicating several crypto exchange may be involved in market manipulation and the violation of state laws.